Now you can show your whole class the selective permeability of the cell membrane. 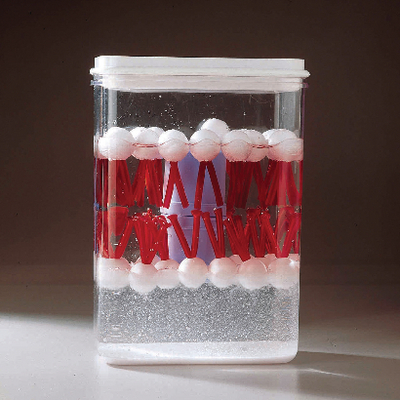 The clear model’s plastic and styrene components simulate hydrophilic “heads” and hydrophobic “tails” of the membrane, functioning in solutions of different densities. Just fill the container with oil and salt water and shake to demonstrate selective permeability and the fluid-mosaic model. The magnetic “protein” demonstrates how materials can actually pass through the membrane. It comes with all model parts, oil, salt, and instructions.